To always give an unbiased opinion of the home and its components! Buying a home is probably the most expensive purchase you will ever make. The process can be extremely stressful and confusing. This is no time to shop for a cheap inspection. 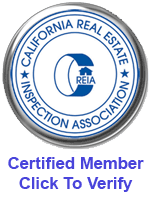 The cost of a home inspection is very small relative to the home being inspected. We are determined to perform inspections of the upmost quality, with integrity. For a buyer, we make sure that they know and understand every fact about the property that they are purchasing. For sellers, we will provide a report that gives 100% full disclosure, with no worries if a buyer coming back and questioning anything regarding the property. We really enjoy helping our clients in this process and customer service is our highest priority.